Adobe-style 3-bedroom home with beautiful stonework and tiling detail. 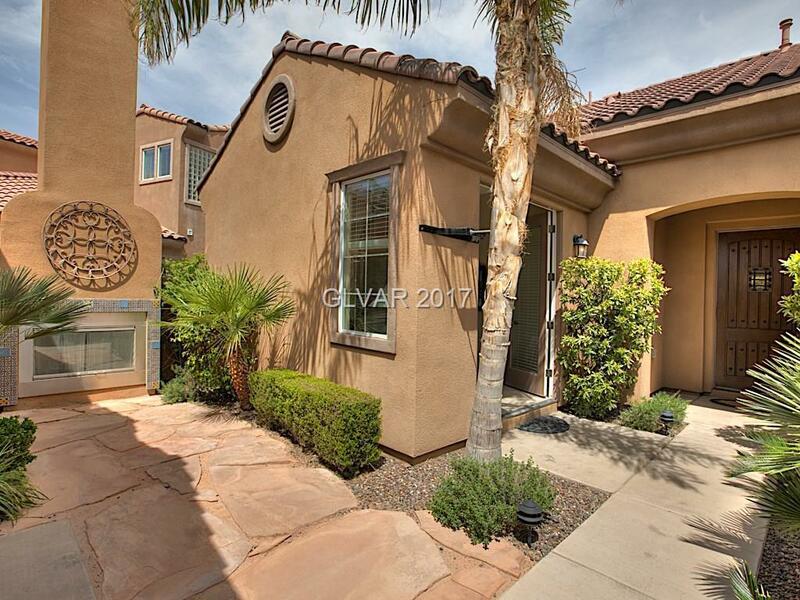 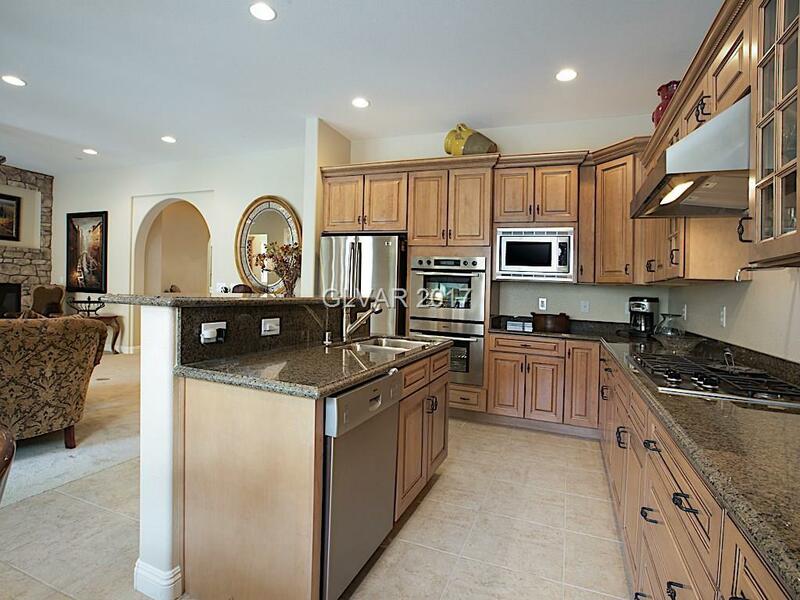 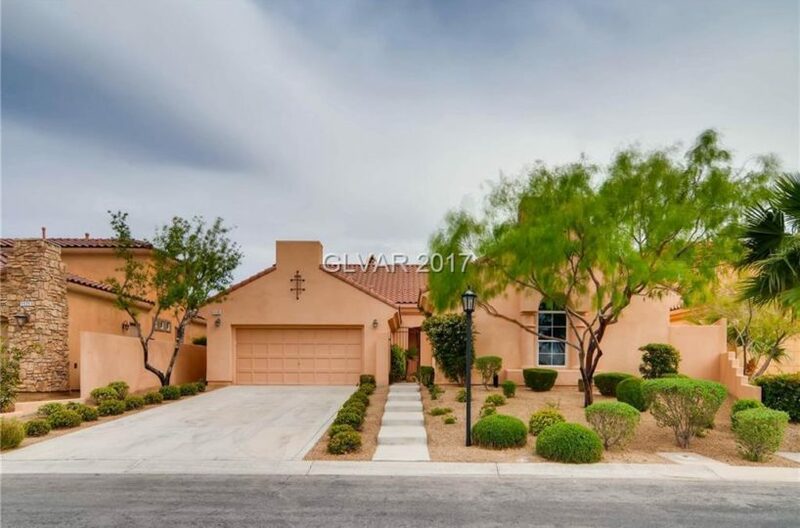 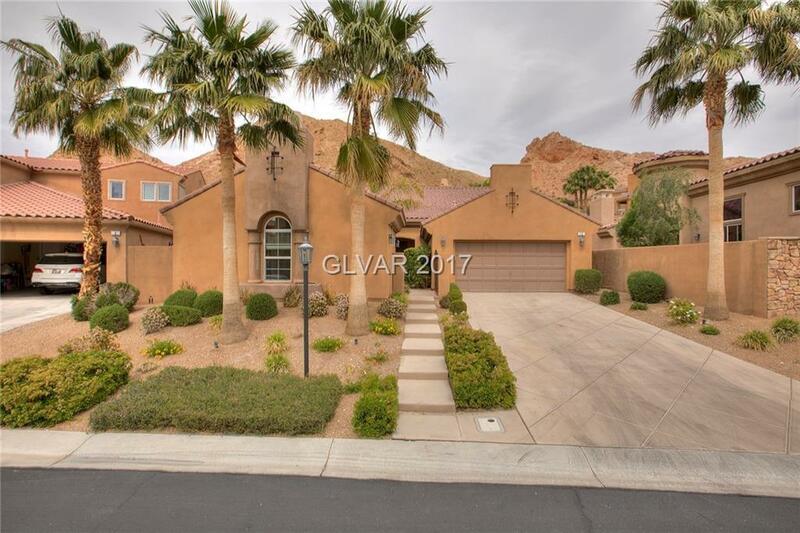 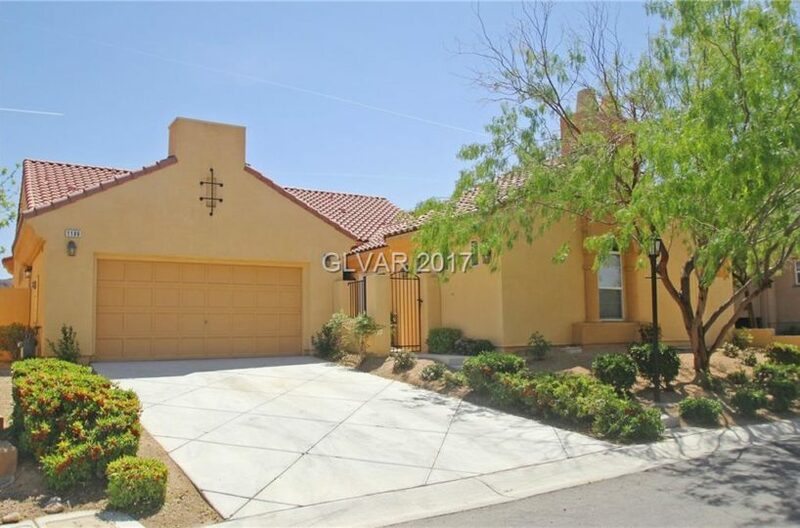 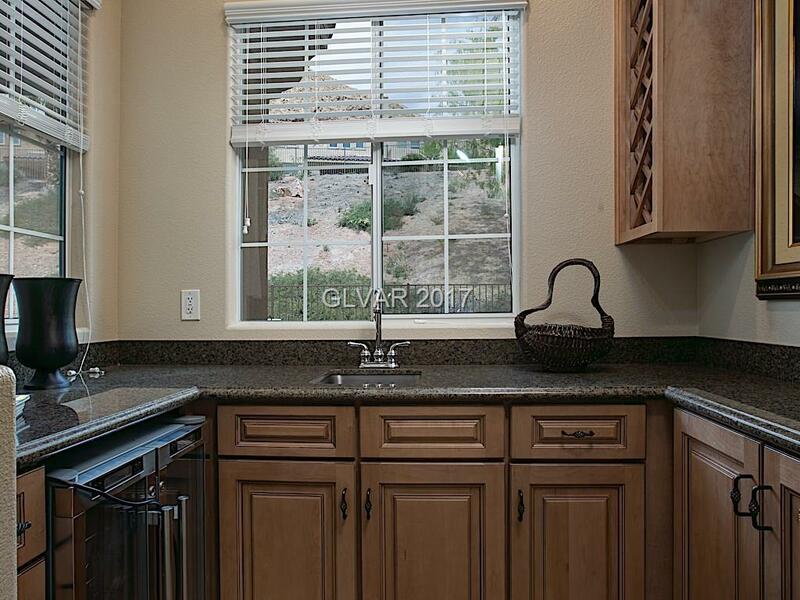 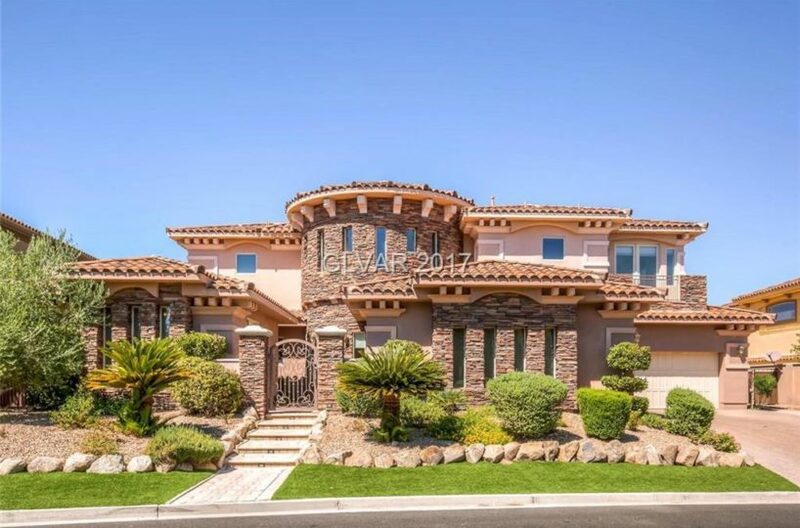 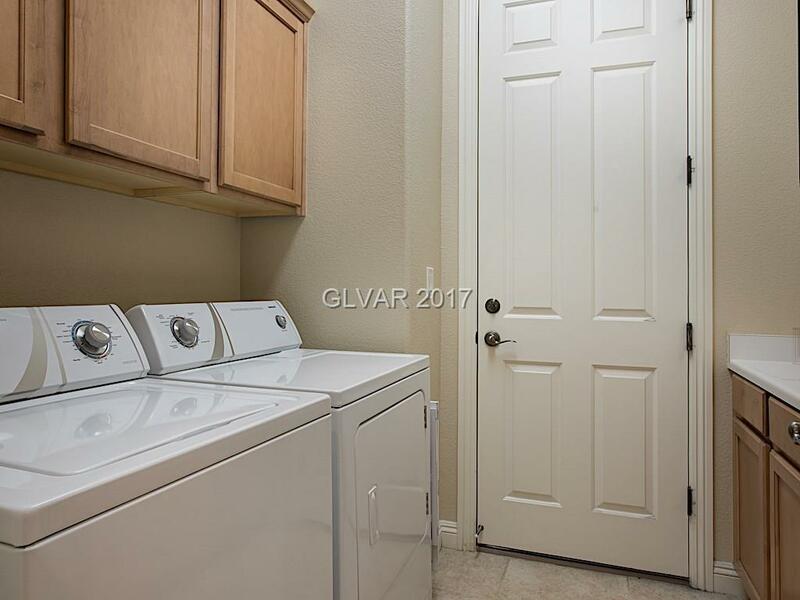 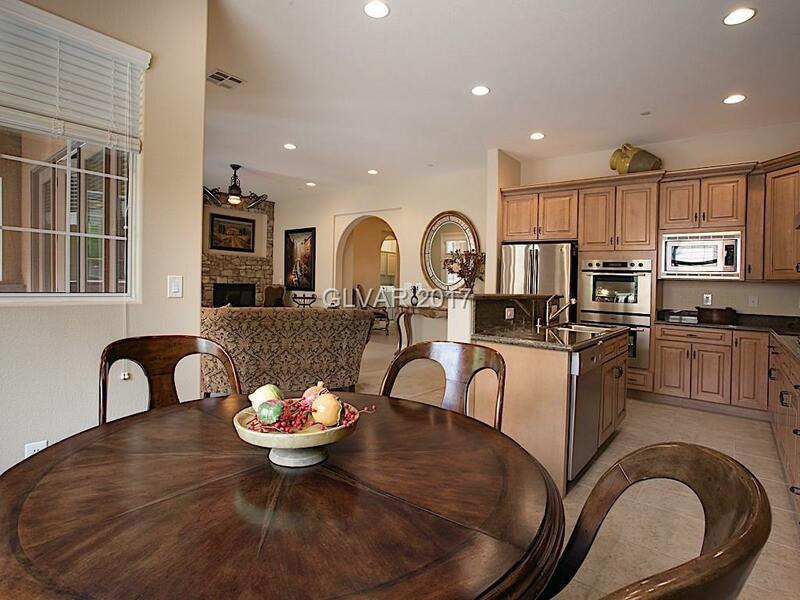 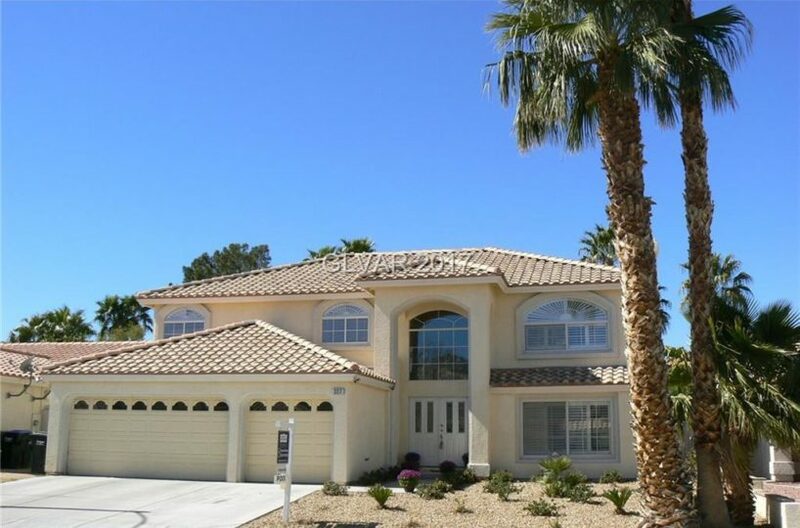 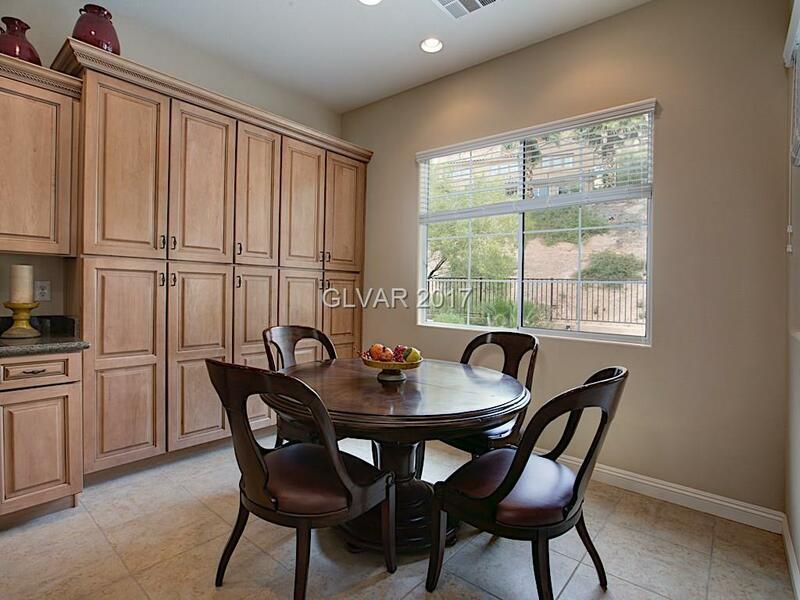 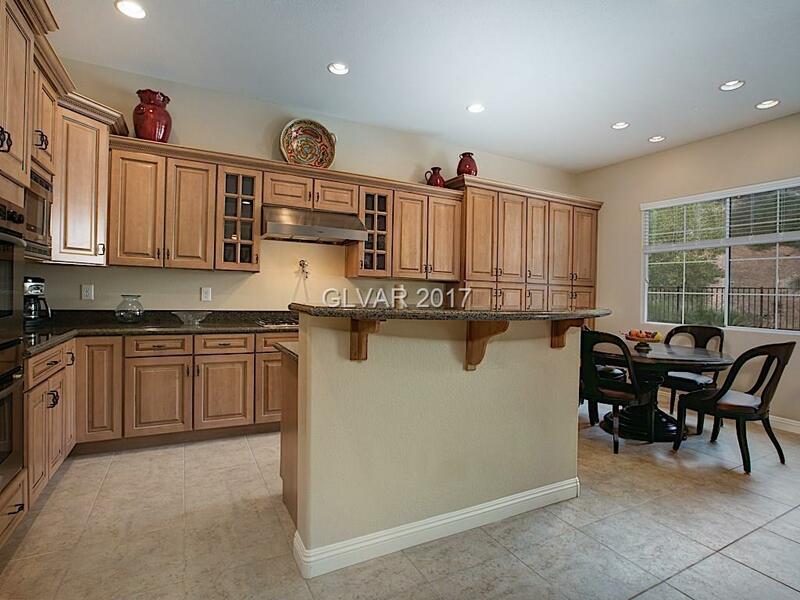 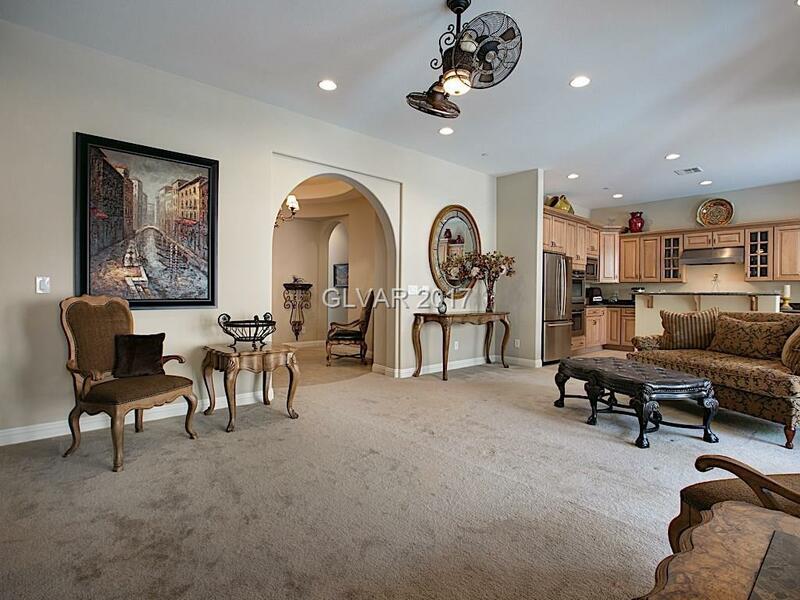 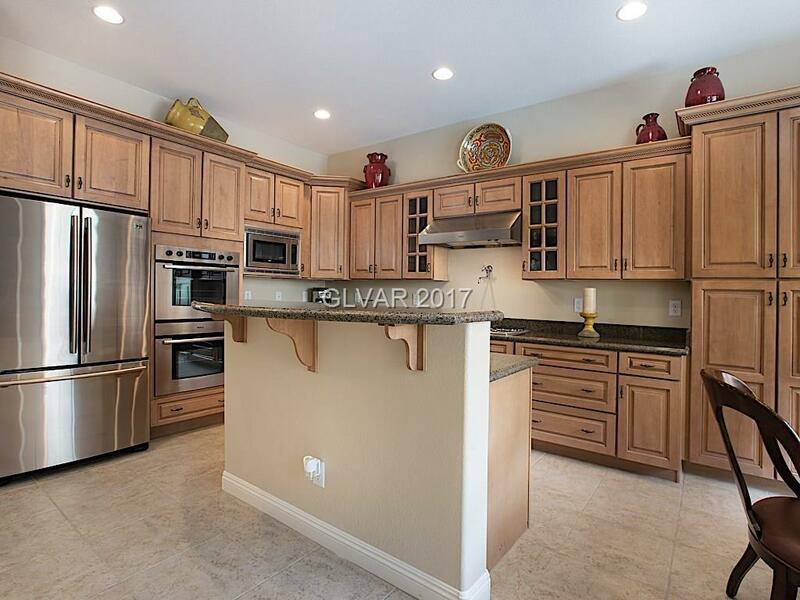 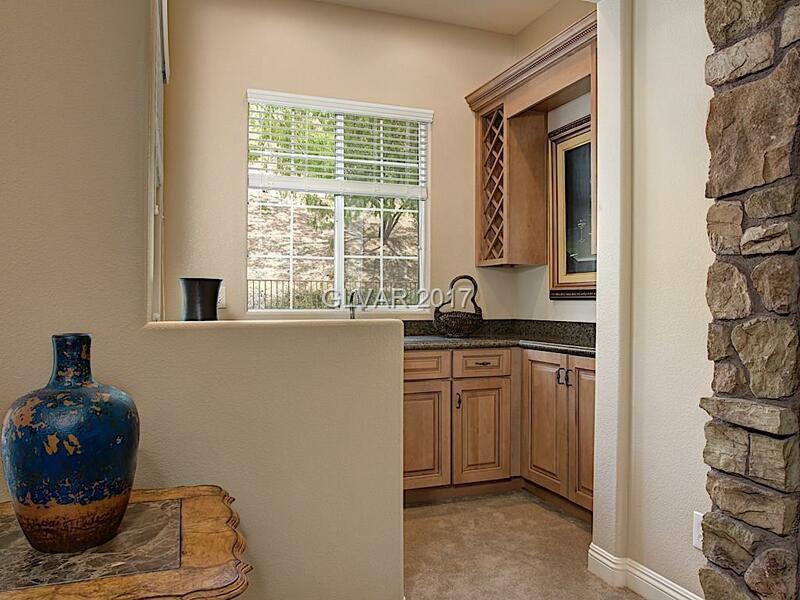 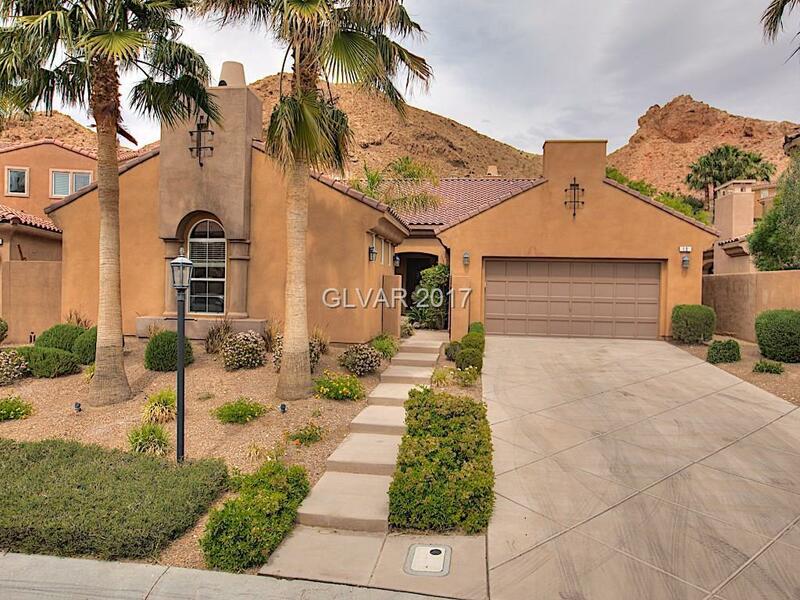 Custom cabinetry, granite countertops, stainless steel appliances, matching full bar. 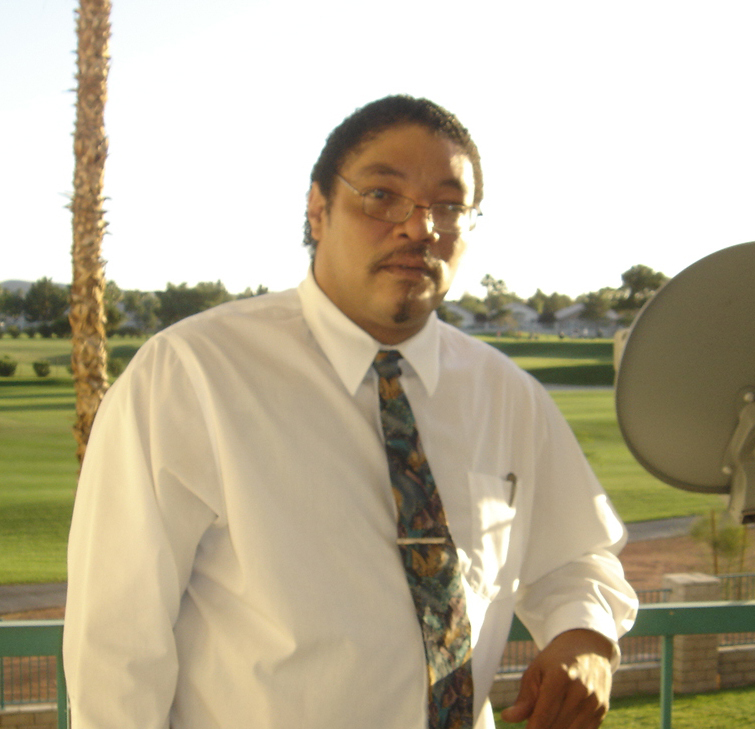 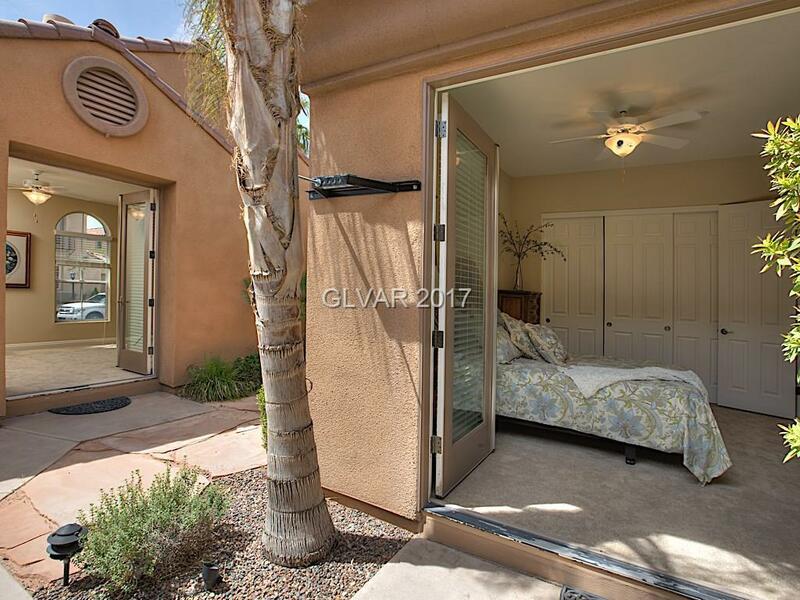 Spacious Casita. 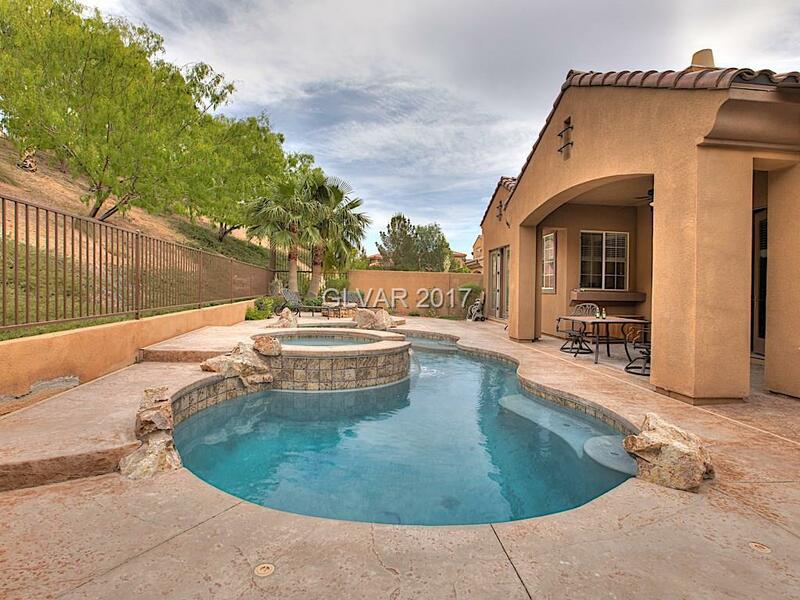 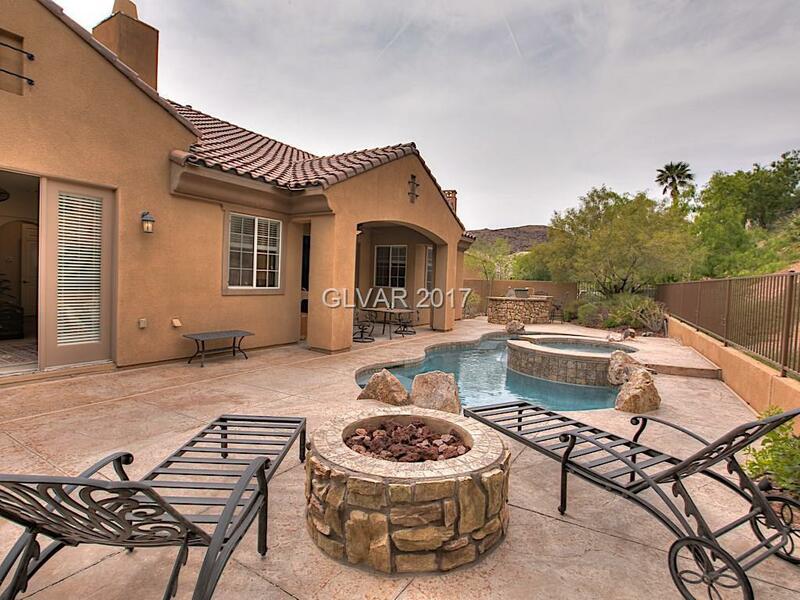 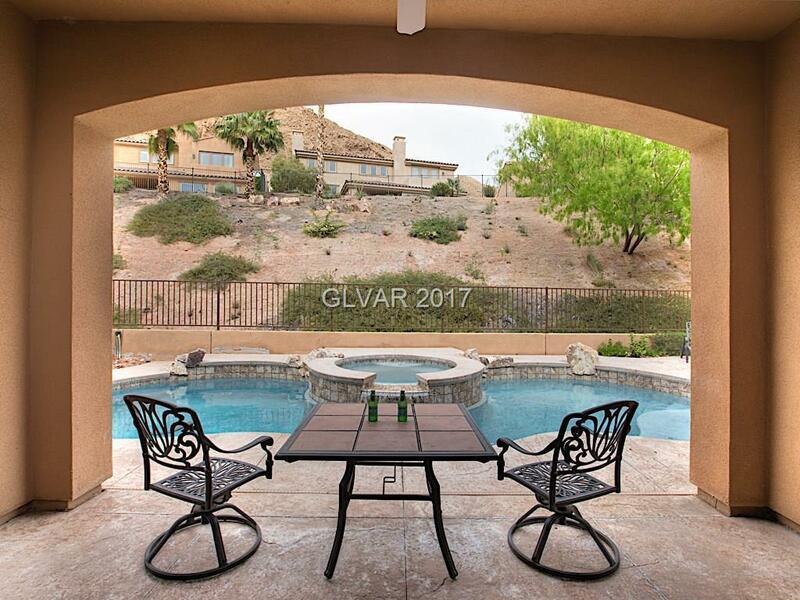 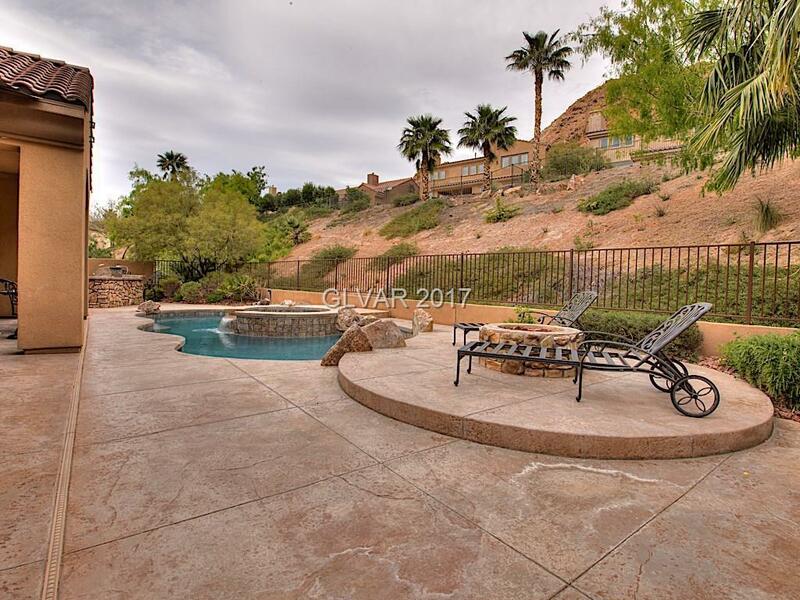 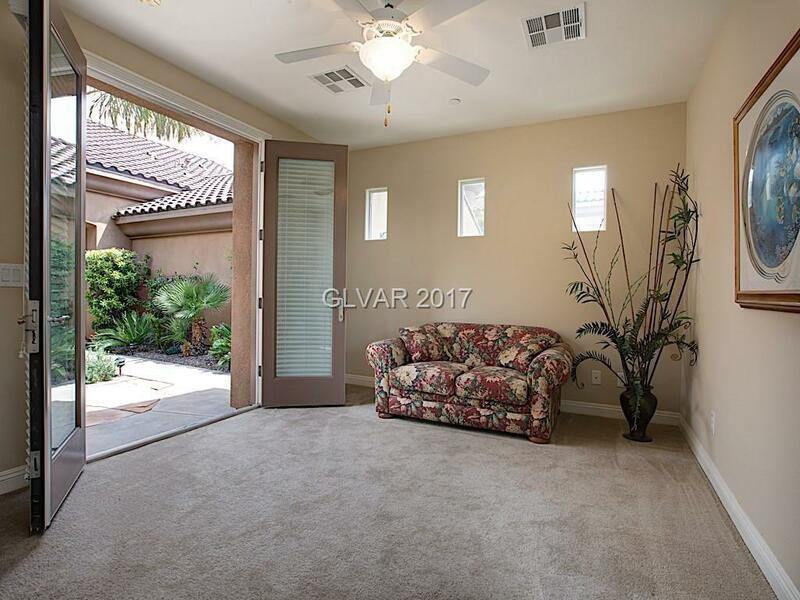 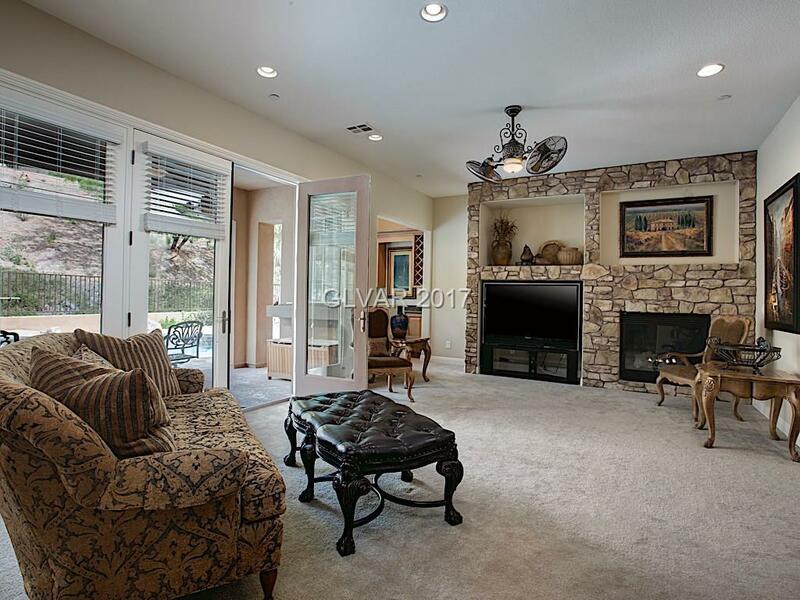 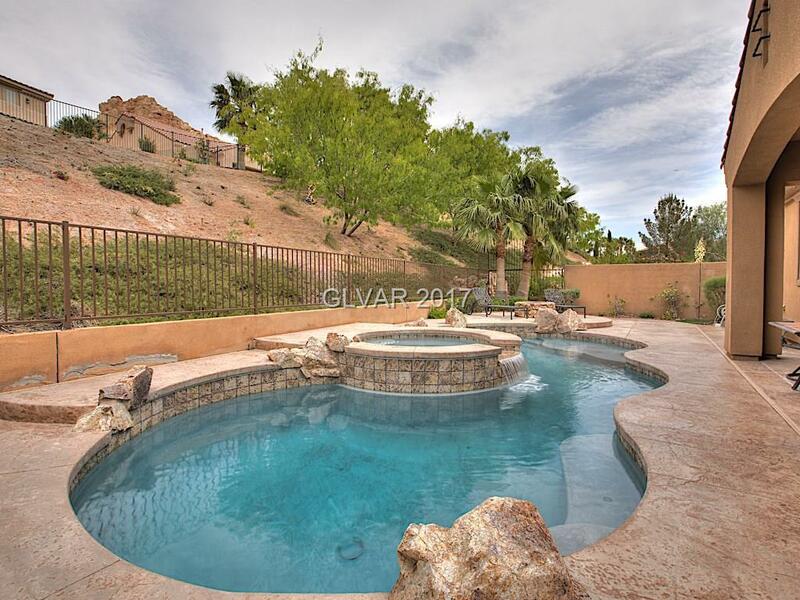 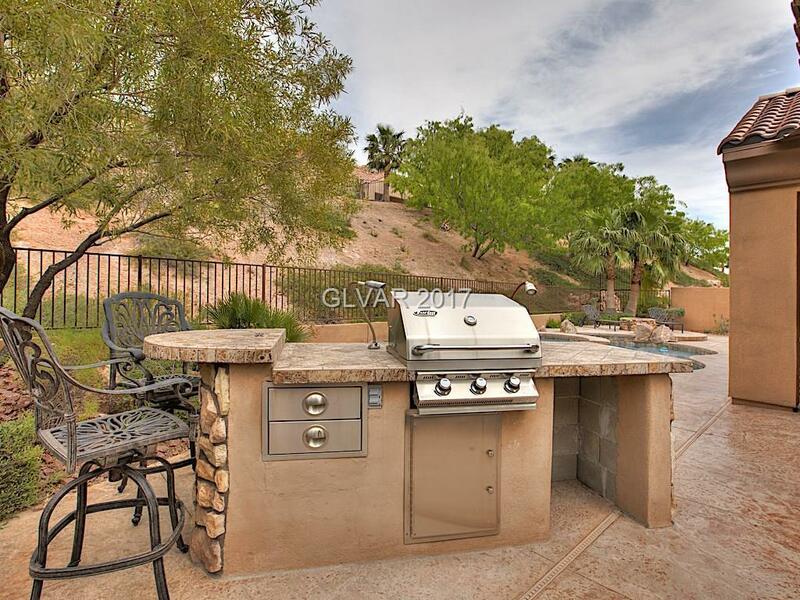 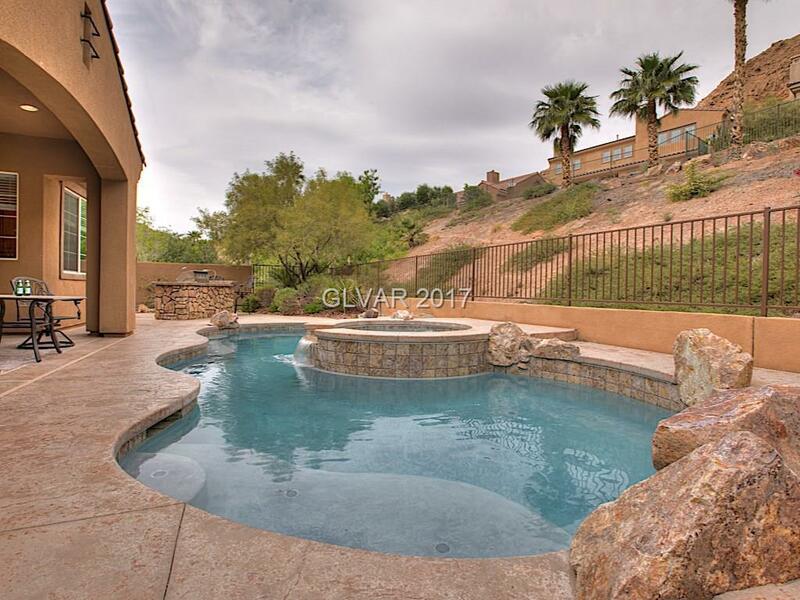 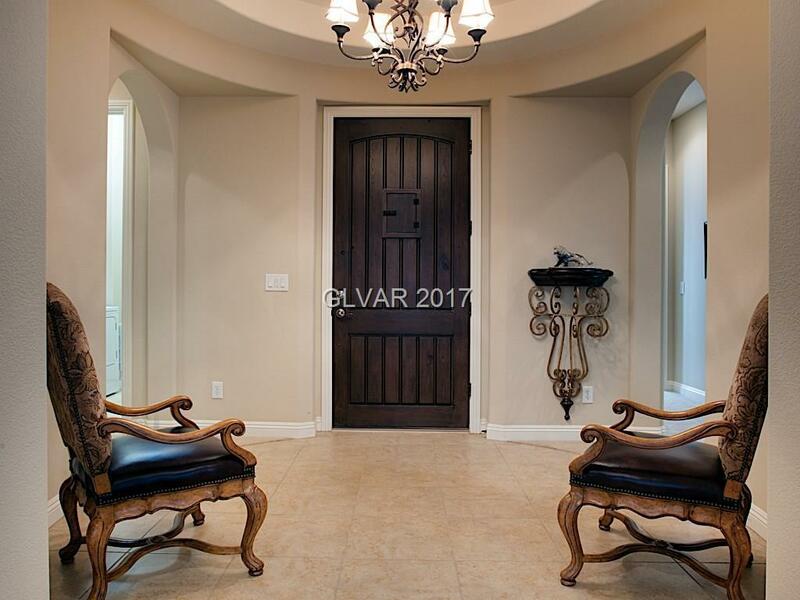 French doors, covered patio with pool, built-in outdoor grill, fire pit, view of hillside. 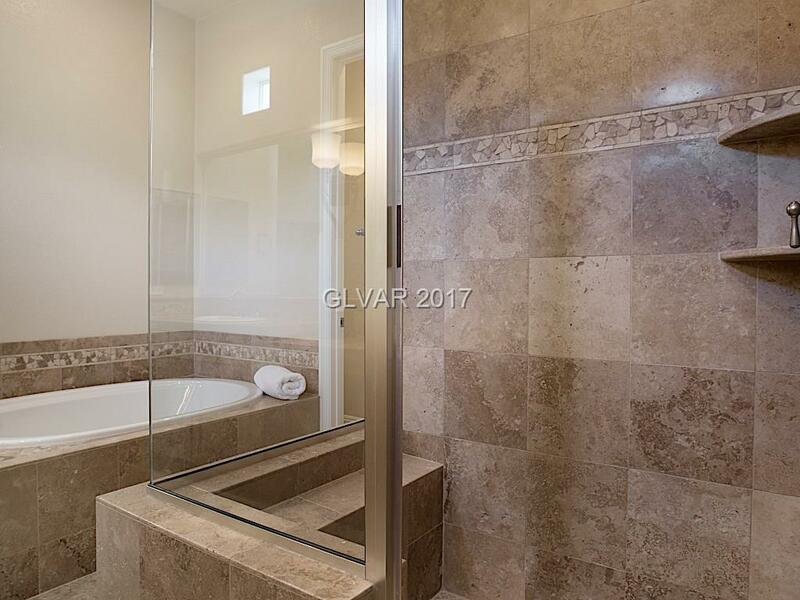 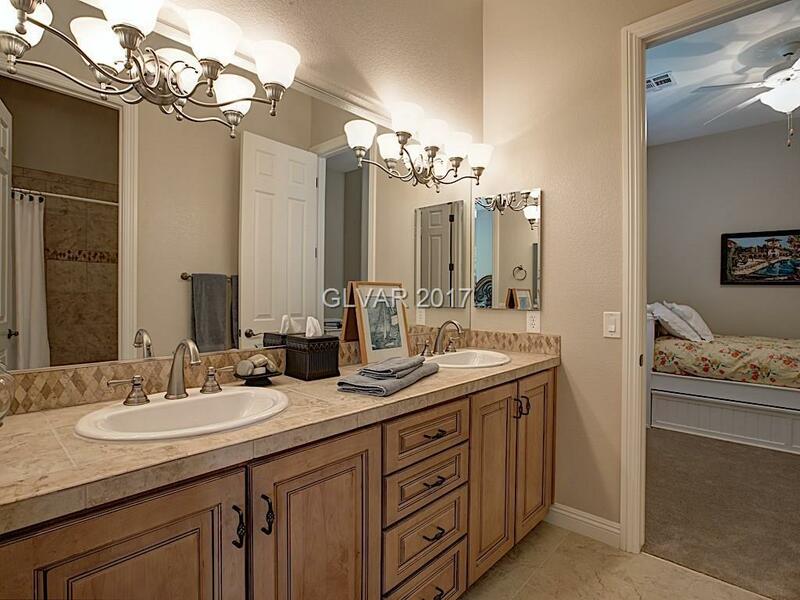 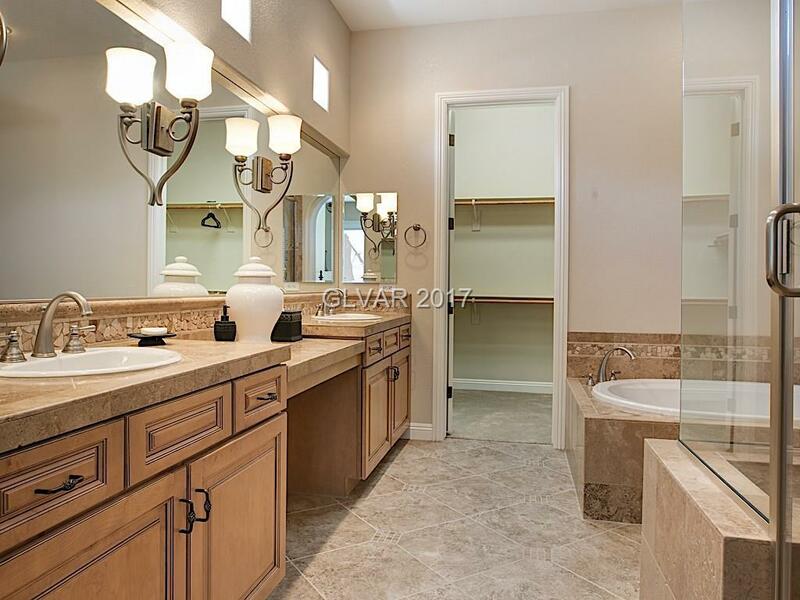 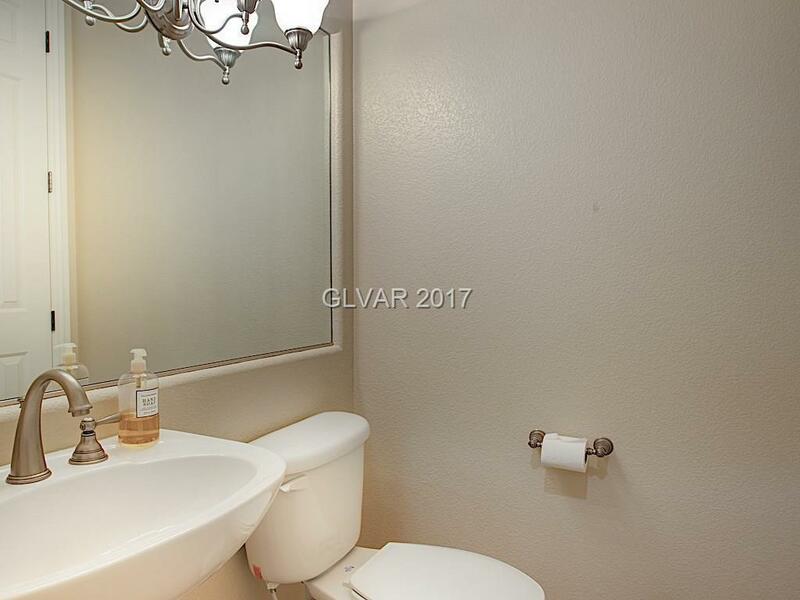 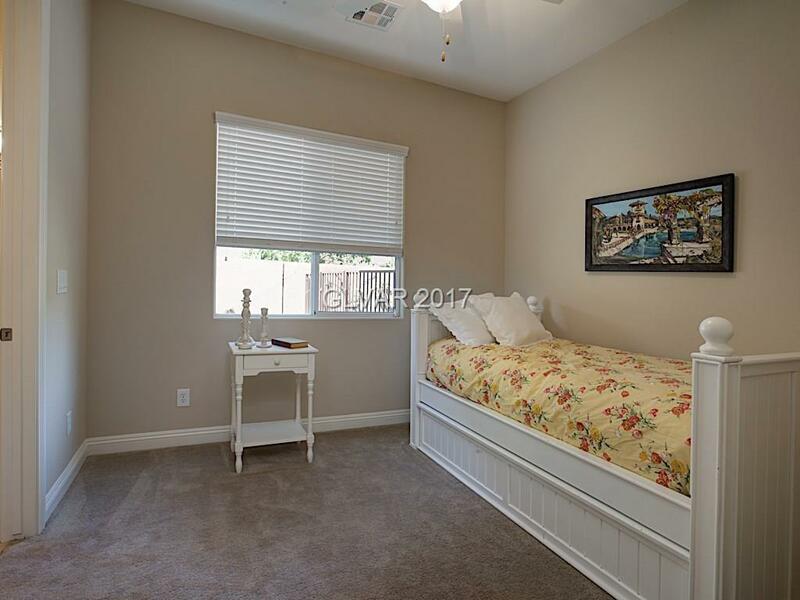 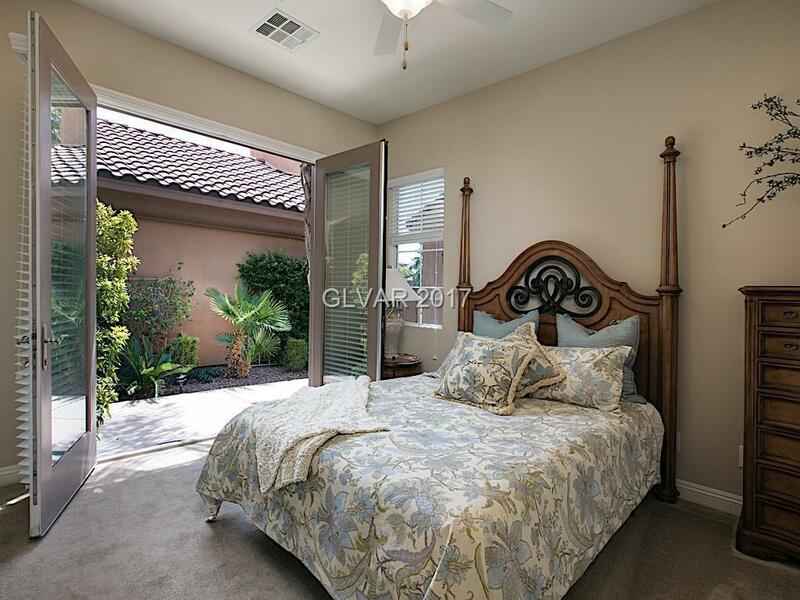 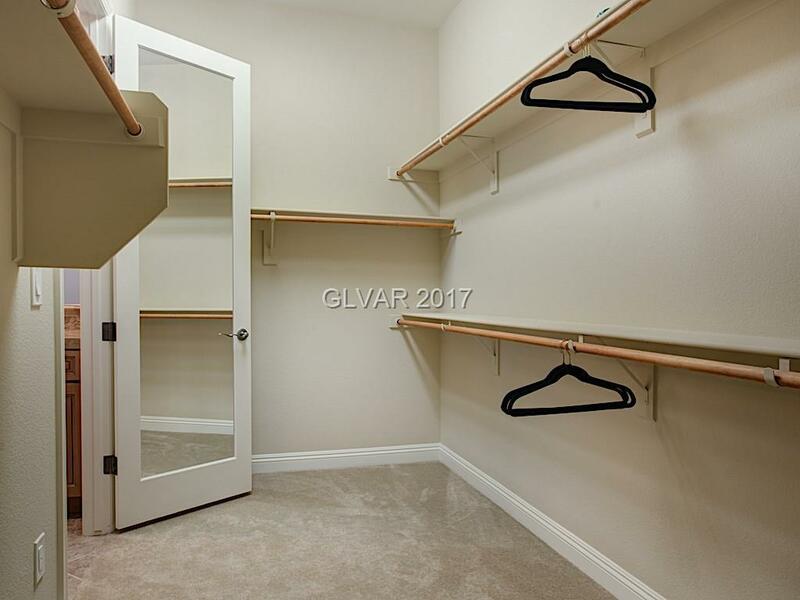 Spacious master bedroom with luxurious master bath. 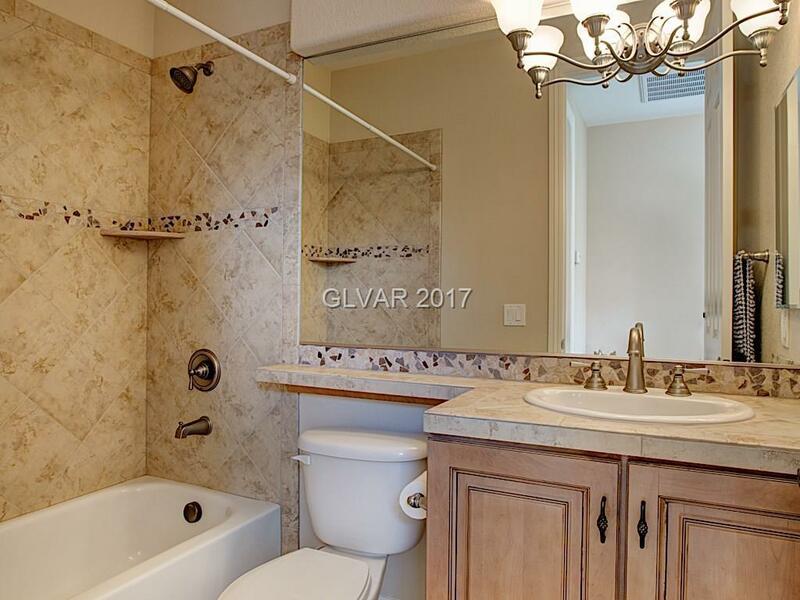 Detailed tiling surrounds shower, two sinks, and jet tub. 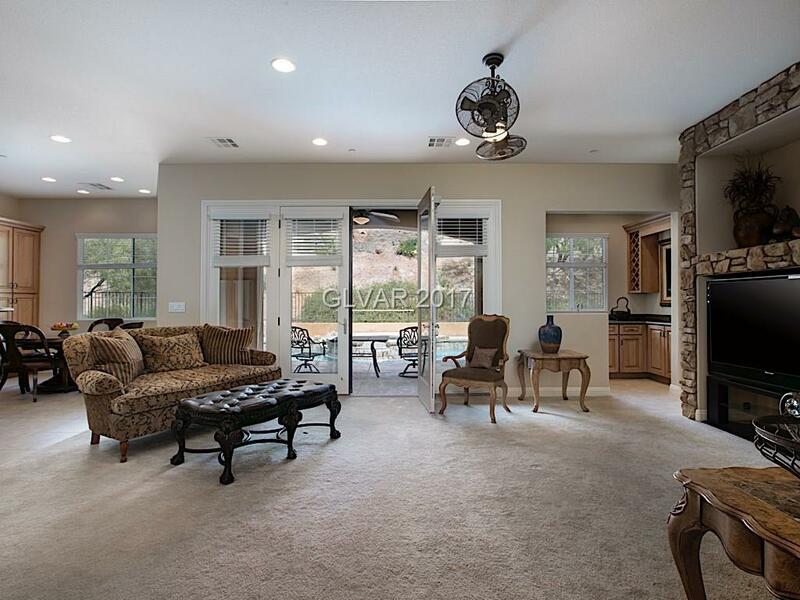 Gated community with many amenities including golf and exercise room.